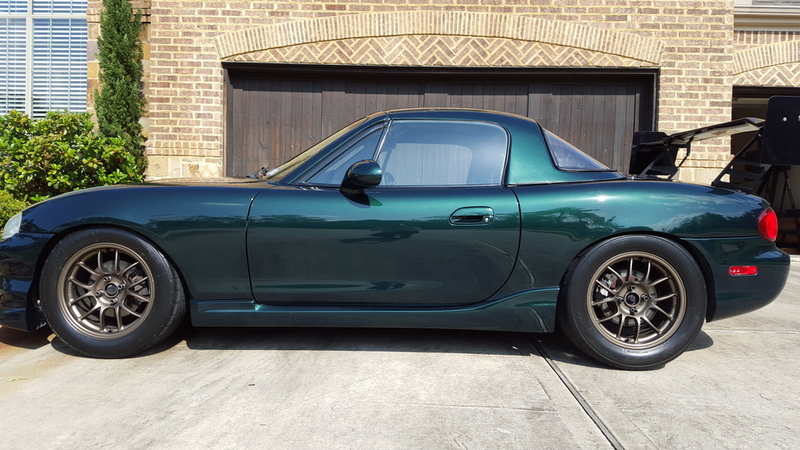 Sidewall madness - Miata Turbo Forum - Boost cars, acquire cats. I wanted to see if more sidewall translated to a more comfortable ride on the street (and maybe look cool, too) in my dual-purpose '99. 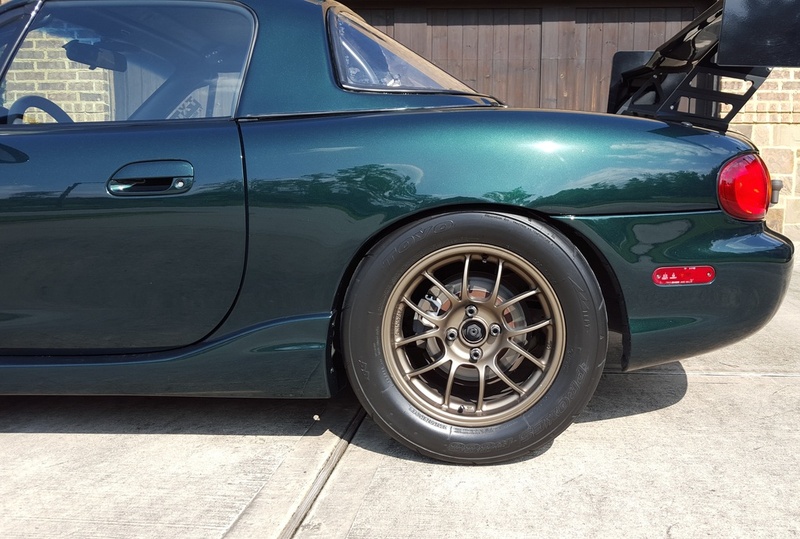 In the front are Toyo RA1's in 225/50-15; in the rear, 235/50-15 Toyo R888's. Wheels are 15 x 8 6UL's. Conclusion: if maximum sidewall is desired, go with 225/50-15 all around. Still looks cool, though. All I see is rotating mass. haha wow that is beefy. I actually wanted to try that a few years ago but was talked out of it. glad I didn't. Is that where BR Performance used to be? Yeah, normal sized touring tires are going to be more comfortable than those, by a long shot. The supercharger company? I'm honestly not sure, I moved down here 3 years ago. DDMWorks is out around here though. I want my car to be nice and clean like yours, but I have a hell of a time cleaning off all the rubber marks it get's from flying chunks of tire. extended rear tophat with mcs?